An adorable six-year-old girl is brightening up the world around her thanks to her parents’ refusal to abort her. Chelsea and Curtis Lush chose instead to love their daughter Zoe by letting her live her life and helping her through it. When the perinatologist gently pressed the wand down firmly on Chelsea’s belly, Zoe’s soft skull molded from a circle to an oval shape under the pressure of the wand. A closer look revealed further damage. Zoe’s femur was in two separate pieces and many of Zoe’s ribs were in multiple stages of fracture. Zoe’s bones were already breaking in the womb. Told that their daughter might not survive until her due date, the distraught parents were offered abortion. They were even told to donate Zoe’s body to science. “The specialist recommended or suggested that we could just terminate the pregnancy, but it was more than that to us. It was our first child together,” said Chelsea Lush in a video for BBC. Three months after that ultrasound, Zoe was born. She had great APGAR scores and was breathing on her own, but she had a rough start and fractured her collarbone during birth. Over the course of her first month outside the womb, she broke both arms, a leg, and then an arm again. She was officially diagnosed with Osteogenesis Imperfecta Type III, or Brittle Bone Disorder, a type of dwarfism. Type III is considered severe, but not the most severe form of O.I. 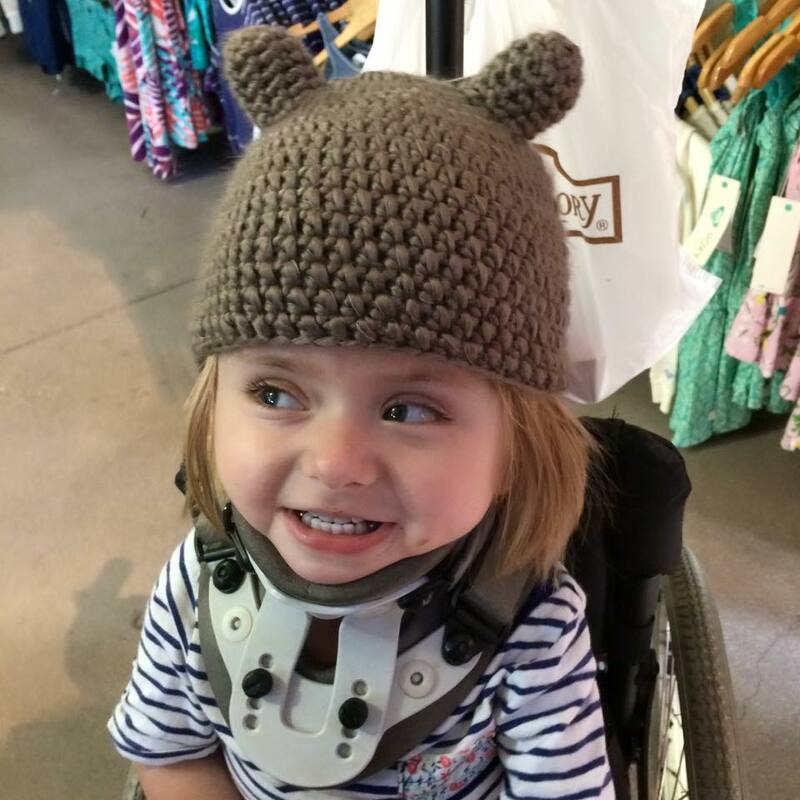 Zoe had so many fractures over such a short period of time that her mother learned to do splints for Zoe since doctors would often handle her like any other child, causing even more breaks. One of the most difficult challenges was something parents do multiple times a day: changing diapers. It took three people to complete the task without Zoe getting hurt. Though she has broken her bones more than 100 times, and needed surgeries, doctors believe that with good care, Zoe will live as successful a life as any of us. “Now that she’s six years old it’s getting quite a bit easier – her being able to tell us ‘I just broke’ or ‘No you didn’t break me’ or ‘Hold on please, don’t move me,'” explained her mother. Zoe uses a wheelchair and plays at a park that is accessible. She stands up for herself to ensure that other children don’t accidentally hurt her. She participates in occupational and physical therapy as well as speech therapy and is always smiling, according to her parents. Actor Atticus Shaffer, who plays Brick on the ABC show The Middle, also has O.I. “It’s a small portion of me and nothing more. I take extra precautions where I step to make sure it’s safe. And I shouldn’t do anything with heavy lifting or anything that could make me slip and fall,” he told Very Well. “For as long as this discrimination is allowed by law and remains on the statute book, how can I, as a severely disabled person, reasonably be expected to regard myself as an equal?” Shinkwin asked peers at the Queen’s Speech debate in July.